MBFWAfrica is done but our coverage of fashion week is NOT! 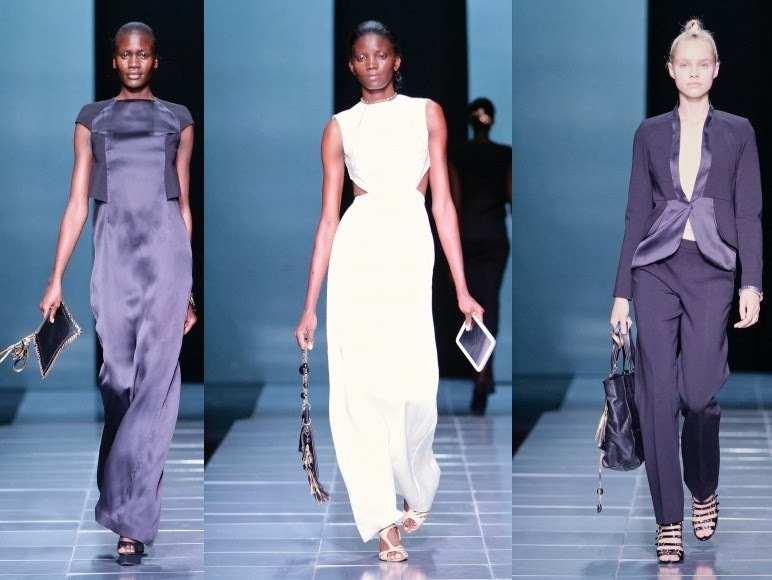 This week we bring you a review of the #AmazeAfrica fashion show brought to you by Samsung. 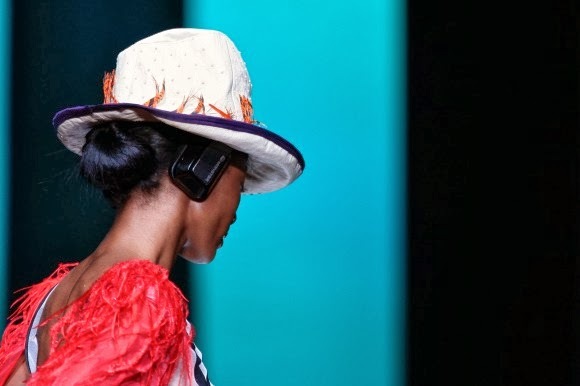 If there is a company that understands the link between technology and fashion it is Samsung! Inspired by Samsung’s global Accelerating Discoveries and Possibilities philosophy, #AmazeAfrica drew together 14 fashion and accessory designer collaborations into seven partnerships, mining the generous supply of exceptional design talent spread across the continent. More than 500 people were present at the #AmazeAfrica show. Talk about an AUDIENCE! 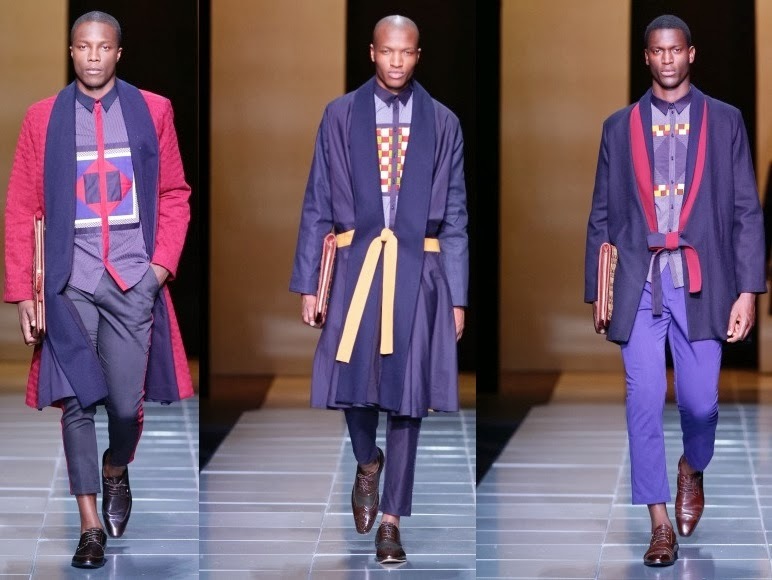 The designers drew their inspiration from the natural genera found at Pretoria’s Ditsong Museum of Natural History. They looked at the dual nature of the pincushion - the hard and soft structural elements and the emotional evocation of resistance presented by the indigenous African flower. 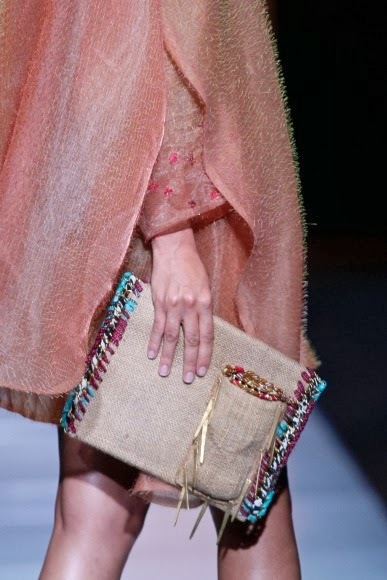 Using the 'chinabag' motif as an appliqué and weave, Marianne intimated the permanence of the flower. Pieter Jansen van Rensburg, Quamta designer, picked this up as a motif for Samsung Note 3 covers and pouches, weaving in his own signature exotic leathers. For #AmazeAfrica Brenu looked to the hard and soft elements of the beetle's exoskeleton - interpreting the protective casing through silk gazar and techno-wool, offset with soft silk organza mimicking the fragility of the wings within. 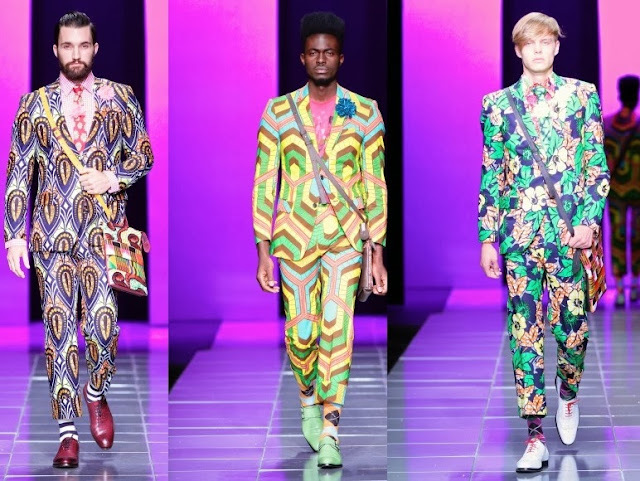 Both designers looked to the silk 'oil in water' colours of beetles. Dejak used recycled brass and Ankole cow horn to hint at the shape of the beetle as features on her luxurious black leather pouches. 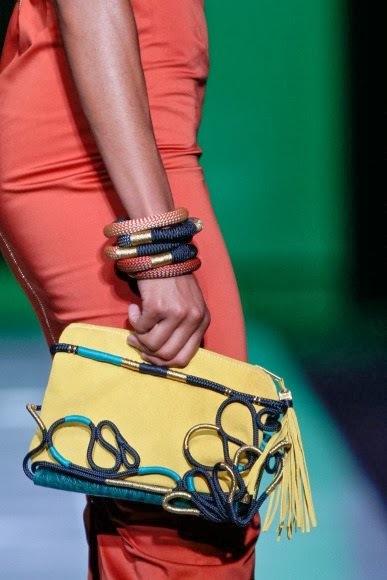 They created looks inspired by the yellow of the coral snake and the geometry of the tortoise carapace. Chauvin-Bartrand of LaurenceAirline used the finest wool and wool blends to create minimal soft-tailored winter coats worn over her signature geometric shirts and slim-leg pants. 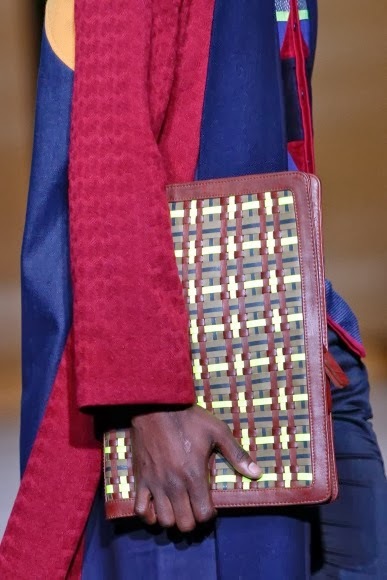 Missibaba hand-wove different textured leathers to create a single slip of a laptop casing. They looked to the ancient Cycadala for inspiration. Inspired by hot summer nights, offset by a cool verdant palette, Taibo's collection has a touch of Robert Palmer-chic; stretch-satin body-hugging looks with asymmetric cut-out detailing and exposed zips. Pichulik's accessories, in soft mustard suedes, brilliant Azure and textured fawn leather hark to the exotic of North Africa while shapes mimic the silhouettes and textures of the prehistoric plant. They looked towards a futuristic world inhabited by ants and wasps. Doreen used burlap, sisal and Namibian silks to intimate the ants' natural living environment, while Anisa incorporated textured taffeta and a hexagon shaped mesh, presenting a literal representation of the world of bees. In a move away from Anisa's signature print, she underpinned all her looks with a metallic stretch viscose bodysuit. Inspired by the hallucinatory colours of the moths and butterfly genus, Projecto Mental also looked at their migratory patterns, creating a slim, modern silhouette. 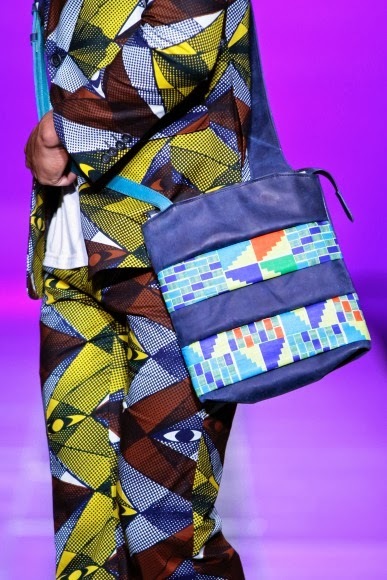 Rift Valley Leather picked up the print motif, transferring it to simple, padded man-bag inspired by the initial stage of the butterfly's lifecycle - the pupa. The feminine stature of feathers inspired an elegant silhouette offset in a simple, yet striking, red, white and black palette. Black Coffee's sophisticated lines follow a graphic and literal interpretation of the Avialae genus. Both designers used the feather as an element of fabrication - Swanepoel ironing, twisting and fixing it, following an old millinery technique, while van der Watt employed the traditional couture technique of individually applying feathers to a silk tulle, creating a new old-school luxury. 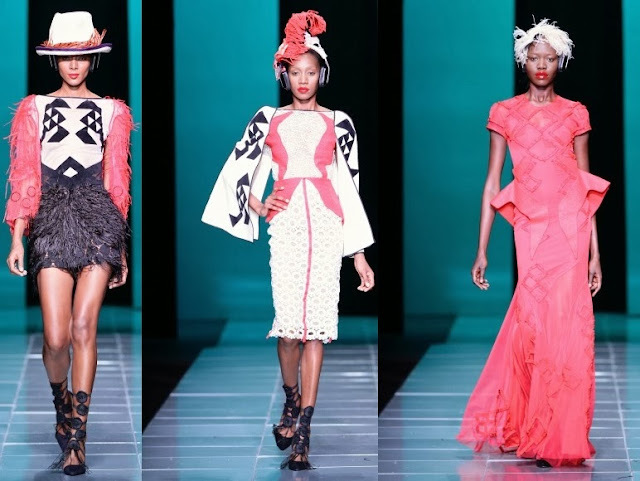 This was one of the best shows at MBFWAfrica! I think the menswear were stronger on the runway but once you looked at the Samsung installations which were displayed in the hall after the show (see my next post) you could see the intricate detail on the women’s wear. 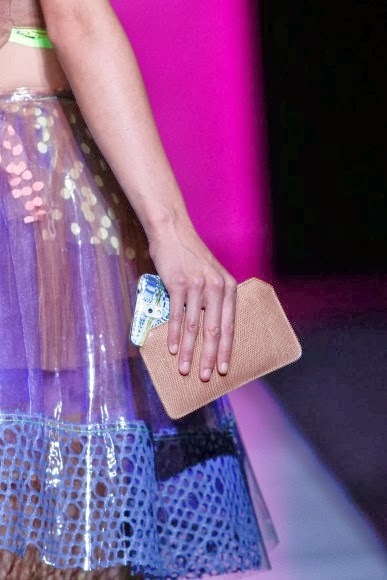 Samsung gadgets also made an appearance on some of the looks, which I liked as they showed how technology and fashion complement each other. FNB WhiskyLive Festival ticket GIVE AWAY!